Sarah Nader - snader@shawmedia.com Cary-Grove played Lake Forest during Saturday's Class 6A semifinal game on November 17, 2012 in Lake Forest. 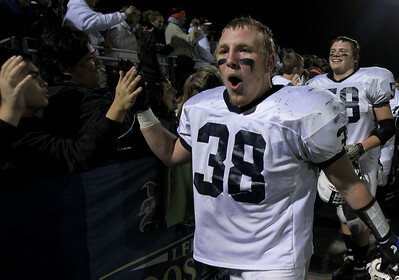 Cary-Grove won, 42-21. Sarah Nader - snader@shawmedia.com Cary-Grove's Mickey Duncan warms up during half time of Saturday's Class 6A semifinal game against Lake Forest on November 17, 2012 in Lake Forest. Cary-Grove won, 42-21. Sarah Nader - snader@shawmedia.com Lake Forest's Andrew Clifford is tackled during Saturday's Class 6A semifinal game against Cary-Grove on November 17, 2012 in Lake Forest. Cary-Grove won, 42-21. Sarah Nader - snader@shawmedia.com Cary-Grove's Quinn Baker runs a play during the third quarter of Saturday's Class 6A semifinal game against Lake Forest on November 17, 2012 in Lake Forest. 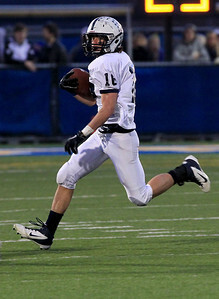 Cary-Grove won, 42-21. Sarah Nader - snader@shawmedia.com Cary-Grove's Ryan Mahoney runs a play during the fourth quarter of Saturday's Class 6A semifinal game against Lake Forest on November 17, 2012 in Lake Forest. 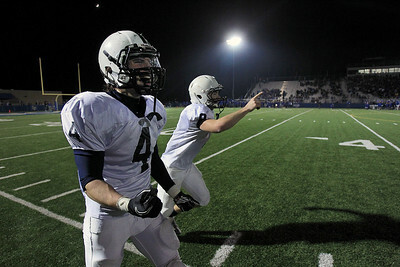 Cary-Grove won, 42-21. 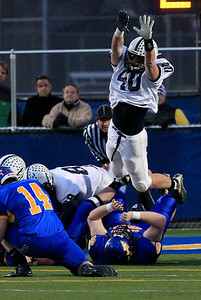 Sarah Nader - snader@shawmedia.com Cary-Grove's Brock Bussenger jumps to block a punt during Saturday's Class 6A semifinal game against Lake Forest on November 17, 2012 in Lake Forest. Cary-Grove won, 42-21. Sarah Nader - snader@shawmedia.com Cary-Grove's Ryan Dundon (left) eyes his tackle during Saturday's Class 6A semifinal game against Lake Forest on November 17, 2012 in Lake Forest. 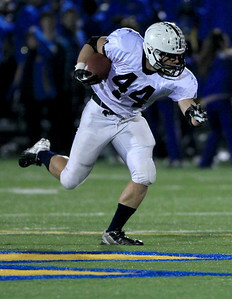 Cary-Grove won, 42-21. Sarah Nader - snader@shawmedia.com Cary-Grove's Quinn Baker celebrates a touchdown during the first quarter of Saturday's Class 6A semifinal game against Lake Forest on November 17, 2012 in Lake Forest. 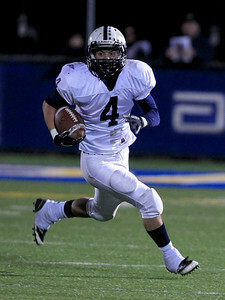 Cary-Grove won, 42-21. 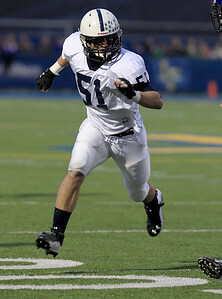 Sarah Nader - snader@shawmedia.com Cary-Grove's Marcus Thimios runs a play during Saturday's Class 6A semifinal game against Lake Forest on November 17, 2012 in Lake Forest. 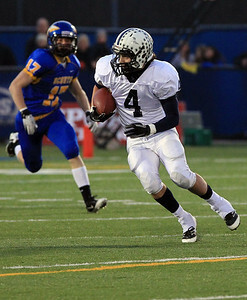 Cary-Grove won, 42-21. 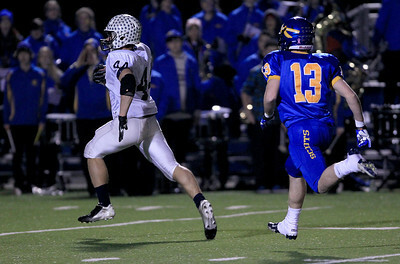 Sarah Nader - snader@shawmedia.com Cary-Grove's Kyle Norberg (left) runs past Lake Forest's Charles Moss to score a touchdown during the third quarter of Saturday's Class 6A semifinal gameon November 17, 2012 in Lake Forest. 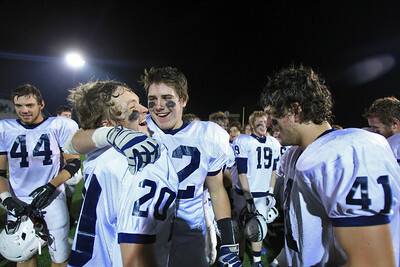 Cary-Grove won, 42-21. 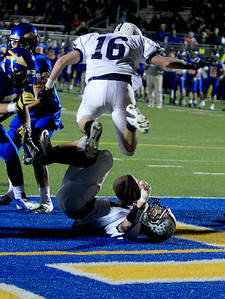 Sarah Nader - snader@shawmedia.com Cary-Grove's Kaene Connington (top) jumps over Cary-Grove's quarterback Quinn Baker after he scored a touchdown during the fourth quarter of Saturday's Class 6A semifinal game against Lake Forest on November 17, 2012 in Lake Forest. 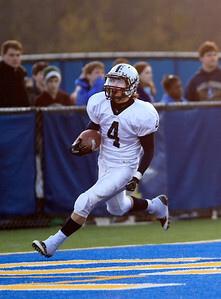 Cary-Grove won, 42-21. 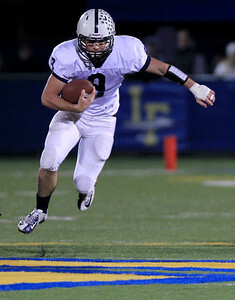 Sarah Nader - snader@shawmedia.com Cary-Grove's Kyle Norberg runs a play during the third quarter of Saturday's Class 6A semifinal game against Lake Forest on November 17, 2012 in Lake Forest. 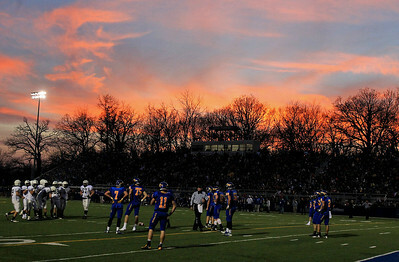 Cary-Grove won, 42-21. 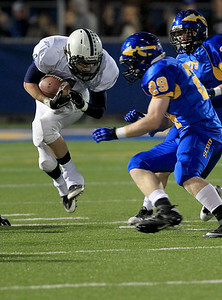 Sarah Nader - snader@shawmedia.com Cary-Grove's Ryan Mahoney runs a play during the third quarter of Saturday's Class 6A semifinal game against Lake Forest on November 17, 2012 in Lake Forest. 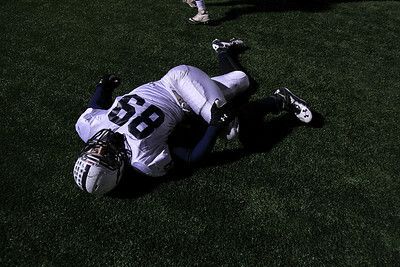 Cary-Grove won, 42-21. 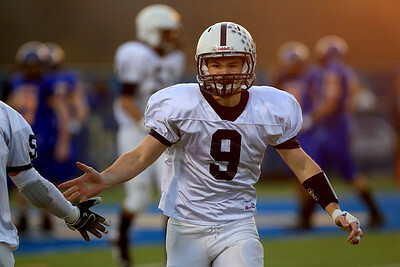 Sarah Nader - snader@shawmedia.com Cary-Grove's Ryan Mahoney celebrates after scoring a touchdown in the first quarter of Saturday's Class 6A semifinal game against Lake Forest on November 17, 2012 in Lake Forest. Cary-Grove won, 42-21. Sarah Nader - snader@shawmedia.com Cary-Grove's Kaene Connington runs a play during the second quarter Saturday's Class 6A semifinal game against Lake Forest on November 17, 2012 in Lake Forest. Cary-Grove won, 42-21. 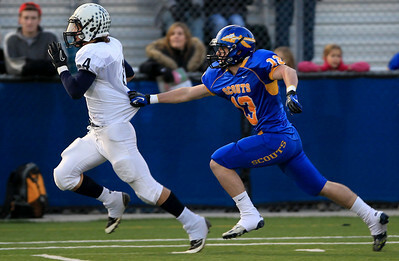 Sarah Nader - snader@shawmedia.com Cary-Grove's Ryan Mahoney (left) runs past Lake Forest's Charles Moss to score a touchdown during the first quarter of Saturday's Class 6A semifinal gameon November 17, 2012 in Lake Forest. Cary-Grove won, 42-21. Sarah Nader - snader@shawmedia.com Cary-Grove's Kyle Matthiesen eyes a player to block during the second quarter of Saturday's Class 6A semifinal game against Lake Forest on November 17, 2012 in Lake Forest. Cary-Grove won, 42-21. Sarah Nader - snader@shawmedia.com Cary-Grove's Ryan Mahoney (left) is tackled by Lake Forest's John Traynor during the second quarter of Saturday's Class 6A semifinal game on November 17, 2012 in Lake Forest. Cary-Grove won, 42-21. Sarah Nader - snader@shawmedia.com Cary-Grove's Ryan Mahoney (left) and Quinn Baker celebrate during the last seconds of Saturday's Class 6A semifinal game against Lake Forest on November 17, 2012 in Lake Forest. Cary-Grove won, 42-21. 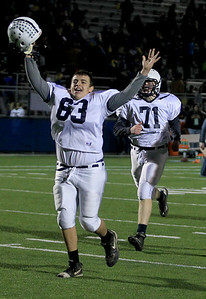 Sarah Nader - snader@shawmedia.com Cary-Grove's Pedro Donis celebrates after Cary-Grove won Saturday's Class 6A semifinal game against Lake Forest on November 17, 2012 in Lake Forest. Cary-Grove won, 42-21. 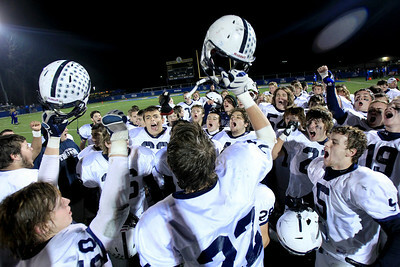 Sarah Nader - snader@shawmedia.com The Cary-Grove football team celebrates after winning Saturday's Class 6A semifinal game against Lake Forest on November 17, 2012 in Lake Forest. Cary-Grove won, 42-21. Sarah Nader - snader@shawmedia.com Cary-Grove's Matt Sutherland (left) and Kasey Fields celebrates with their team after Saturday's Class 6A semifinal game against Lake Forest on November 17, 2012 in Lake Forest. Cary-Grove won, 42-21. Sarah Nader - snader@shawmedia.com Cary-Grove celebrates their win against Lake Forest during Saturday's Class 6A semifinal game on November 17, 2012 in Lake Forest. Cary-Grove won, 42-21. Sarah Nader - snader@shawmedia.com Cary-Grove's Mickey Duncan celebrates after Saturday's Class 6A semifinal game against Lake Forest on November 17, 2012 in Lake Forest. Cary-Grove won, 42-21. 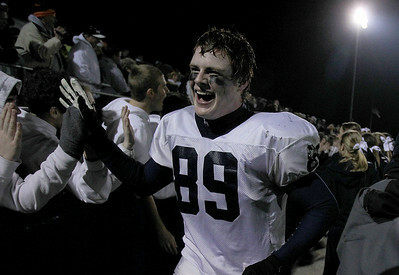 Sarah Nader - snader@shawmedia.com Cary-Grove's Matt Hughes celebrates after Saturday's Class 6A semifinal game against Lake Forest on November 17, 2012 in Lake Forest. Cary-Grove won, 42-21. Lake Forest's Andrew Clifford is tackled during Saturday's Class 6A semifinal game against Cary-Grove on November 17, 2012 in Lake Forest. 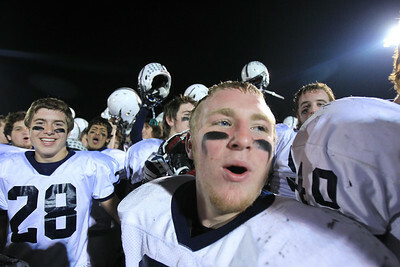 Cary-Grove won, 42-21.